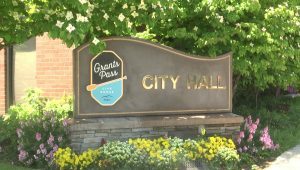 Grants Pass, Ore. — The City of Grants Pass is trying to recruit citizens for public service with a monthly stipend. On Wednesday night, city councilors voted to approve a $1,000 a month stipend for both the mayor and city councilors. The move needs to be approved by voters before becoming official, so it’s heading to the May ballot. In addition, Grants Pass residents will also be voting on a proposed gas tax. If approved by voters, fuel would be taxed 3¢ per gallon, and the city would do away with a monthly transportation utility fee that’s in place now. According to the city, the current transportation utility fee is $3.59 per month per residence and is estimated to bring in just over $950,000 this fiscal year. The gas tax is estimated to bring in just under $1.5-million dollars a year. The revenue would be used solely for transportation construction, maintenance, and repair. You can read more HERE.